Beautiful yet strong Swiss velvet leads in a range of colours. 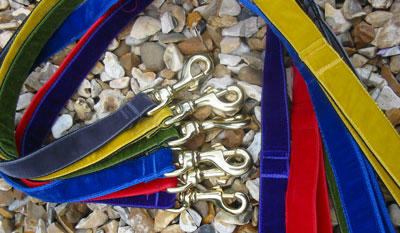 25mm wide webbing with a solid brass trigger that suits the majority of dogs. They are 42" in length and fully washable. For Sighthounds wearing a wider trimmed collar I also do matching "tag" or house collar in the same velvet colours as the leads. 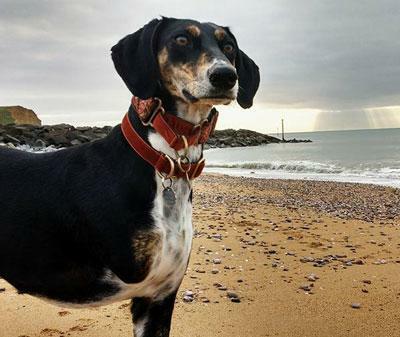 Simple Martingale and matching velvet tag collar in Russet.